With spring just around the corner and warmer temperatures approaching, many homeowners are heading outside to mend winter damages and prepare for the upcoming season. Whether it be fixing the roof or cleaning up the yard, there is plenty to do around the house to spruce up for spring. Here are a few tips, from DIY Network, that you can do to get your home ready for spring. Gutters perform much better when all debris is cleared from them. Check for foliage build up around drainage areas, particularly if trees hover over the roof. Blocked gutters prevent water from properly draining away from your home, which will leave it susceptible to mold and mildew. This could cause major damage to your roof. Look for chipped, cracked paint along the exterior of your home. Wood will begin to rot if you leave it exposed to the elements. Scrape away any chipped paint, sand it down to a smooth finish and then touch it up with some new paint. 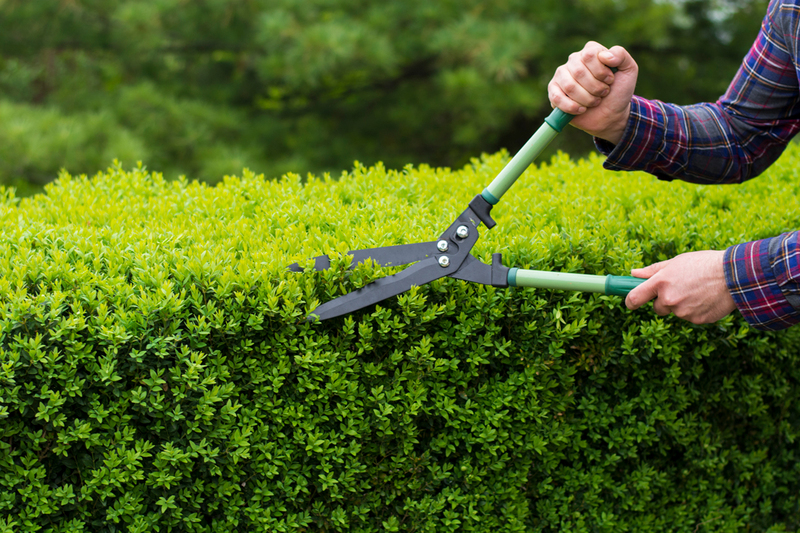 Overgrown trees and hedges can lead to growth of mildew and moisture. Trim tree branches so there is at least seven feet of clearance from the exterior of your house. This will also prolong the life of your siding and roof. Rake up those leaves that were left behind from last fall. Too many can suffocate your grass and stop it from growing. Also, pull up dead flowers and replace with a low maintenance variety, such as pansies or mums, to give your yard a colorful spring look. Examine all doors and windows for leaks and drafts, particularly ones with peeling or chipped paint, which can signal water intrusion. Water leaks can deteriorate building materials and lead to mold, so be sure to seal any open areas between the frame and the wall where wind or water might be coming in. Keep your home in tiptop shape. Regular maintenance and repair is not only crucial to the value of your home, it can also save you the headache and cost of unexpected emergency repairs.